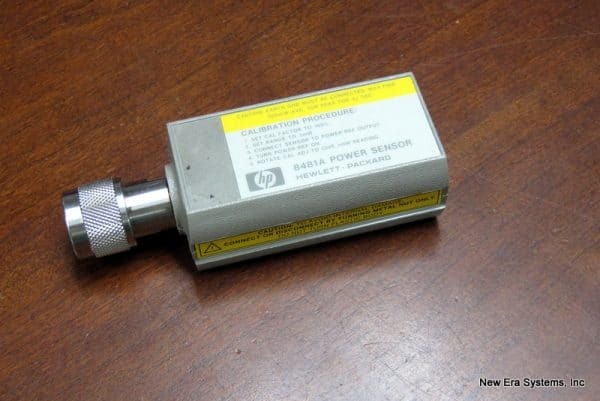 HP 8481A Power Sensor is a used sensor that has not been calibrated, but it works well when used on our HP power meters. 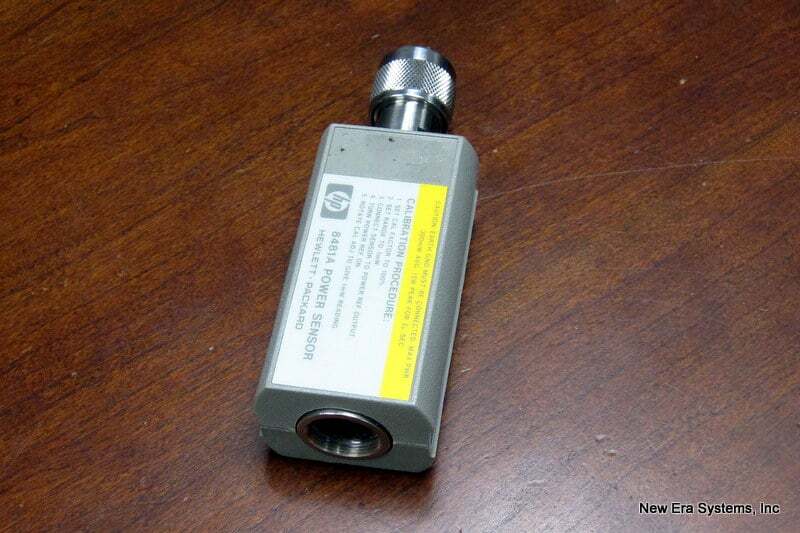 The Power Sensors are used for measuring the average power supplied by an RF source. In use, the Power Sensor is connected to the RF source and to a compatible power meter. (Suitable meters are the HP 435B, 436A, 437B or 438A Power Meter.) The HP 8481A and 8482A Power Sensors place a 50l1 load on the RF source (HP 8483A has a 75!1 load). The power meter indicates the power dissipated in this load in µ W ( or mW) and dBm. The HP 436A Power Meter can also provide readings, in dB, relative to a previous RF input to the Power Sensor. 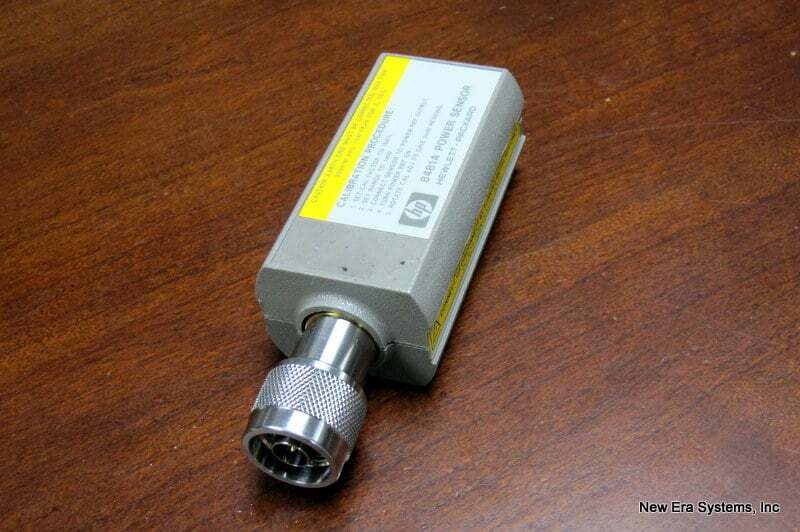 The Power Sensors measure power levels from -30 dBm to +20 dBm (1 µW to 100 mW), at frequencies from 10 MHz to 18 GHz (HP 8481A), or 100 kHz to 4.2 GHz (HP 8482A), or 100 kHz to 2 GHz (HP 8483A).